Who wants to come over for Toffee Coffee? This coffee recipe is this recipe courtesy of the Biltmore Estate. The Spring is a great time to visit the estate for Biltmore Blooms. Every season is great at the Biltmore, but the gardens truly shine during this time of year. 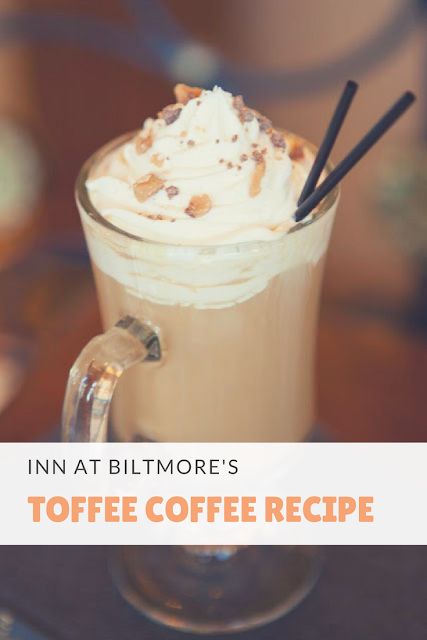 Toffee Coffee is a signature drink at the Inn at Biltmore. It's great for those chilly, mountain nights that you even find in the spring. 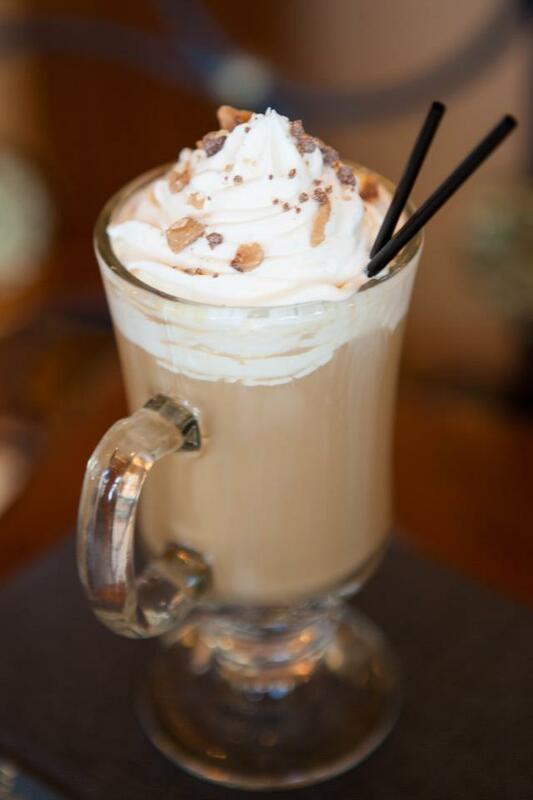 Mix 1 ounce Bailey's Irish Cream, 1 ounce Butterscotch Schnapps and 4 ounces coffee. Serve in a warm mug and top with whipped cream and toffee sprinkles. As a throwback, I thought you would enjoy seeing a candid of Will, Bailey the Cat, and me in our condo after we left our wedding reception. 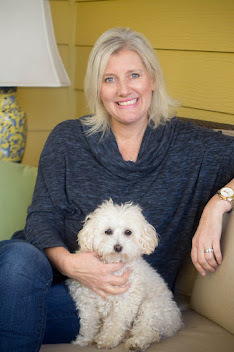 Bailey was the baby before we had a baby in 2005. Of course, I had to snap a photo with the cat on my wedding day! 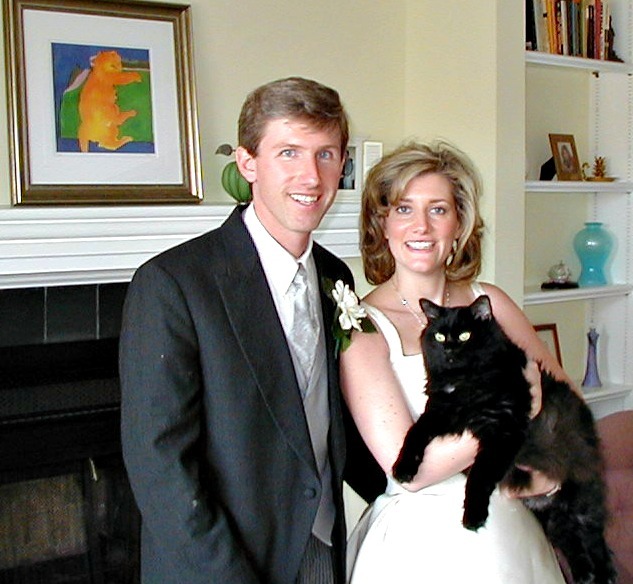 We pose with our cat, Bailey, on the day of our wedding in 2002. 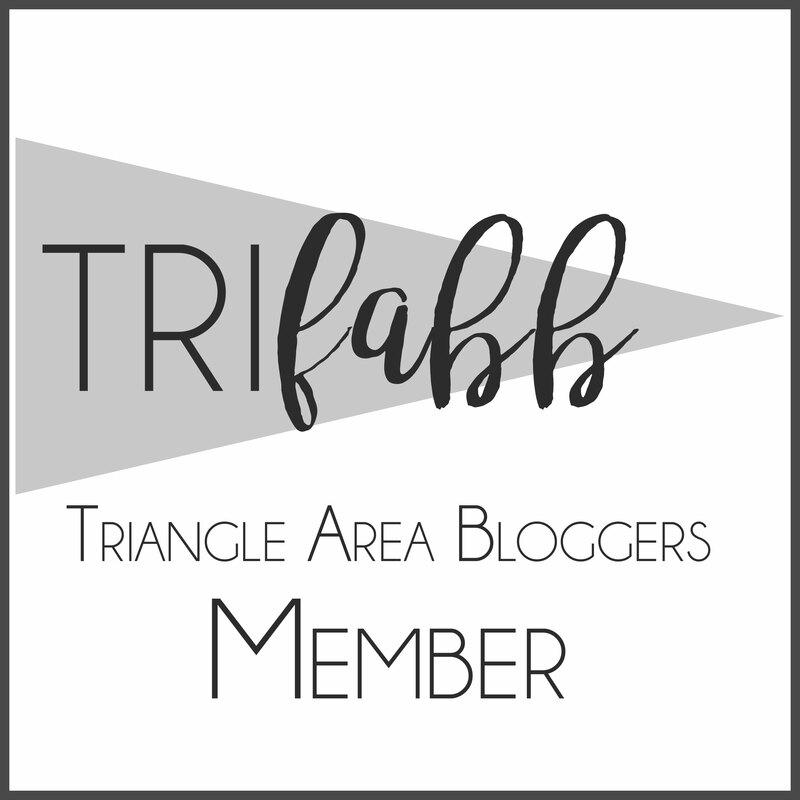 Ok. We've aged. 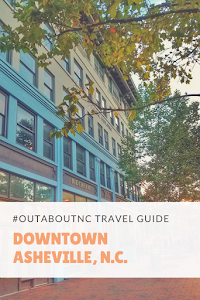 Travel Inspiration for Asheville, N.C.